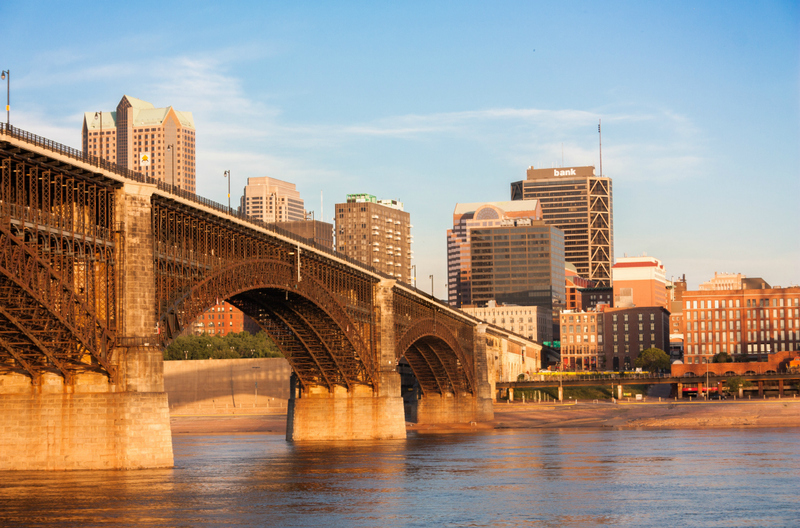 Bursting from the banks of the Mississippi, St Louis is undeniably one of the grandest cities along America’s second longest river. Snaking some 2,300 miles from Northern Minnesota to the Gulf of Mexico, the Mississippi has been part of St Louis’ soul since the city was founded by French traders back in the 18th century. There are nods to this pioneer past pretty much everywhere you look – from the throwback paddle steamers that still ply the river to the giant Gateway Arch, immortalising the exploits of 19th century explorers Lewis and Clark. Tuck into barbecue and blues in the Soulard district and discover old-school charm in the historic French quarter of Carondelet – St Louis teams pride in its past with a passion for life in the here and now. St Louis is the place for some toe-tapping, ivory-tickling boogieing. The city’s roster of musical greats is like a who’s who of music including ragtime wonder Scott Joplin, jazz trumpeter Miles Davis, soul singer Fontella Bass, and contemporary starts such as Nelly. Every September, family-friendly LouFest brings together dozens of artists – some well-known, some up-and-coming – for a two-day music festival in Forest Park. In the past, they’ve had Snoop Dogg, Wilco, Hozier, Arctic Monkeys, and The Killers. There’s something for all musical tastes, and St Louis hosts dozens of other festivals throughout the year. Even when there isn’t a festival, there’s still plenty of live music to be found across the city. At 1860 Saloon in the Soulard district, they’ve got the blues seven days a week, with acts starting at 2pm during the weekend. Alternatively, head downtown to find cabaret-style comfort at BB’s Jazz, Blues and Soups, a part-music club, part-museum where you’ll encounter big band and blues performances throughout the week. St Louis is the home of global beer giant Budweiser. The brewer’s history began here in the early 19th century with the arrival of two Germans, soap and candles specialist Eberhard Anheuser and riverfront clerk Adolphus Busch. Busch married Anheuser’s daughter in St Louis, and was invited to work with his father-in-law, who’d opened a brewery. Budweiser was born, and now – around 165 years later – it’s one of the world’s most famous beers. Located between Route 55 and South Broadway on Lynch Street, you can take a tour around the huge Anheuser-Busch complex, and see how the beer fizzed its way to success. Soaring 630ft next to the Mississippi, the Gateway Arch is the tallest monument in America and twice the height of Big Ben. And if you think it looks good from the bottom, you should see the views from the summit. You can book a tram ride to the top, but just make sure you book in advance as it gets quite busy. The spectacular structure forms part of the Gateway National Park – what used to be known as the Jefferson National Expansion Memorial – which commemorates St Louis’ role in Thomas Jefferson’s westward expansion of America. Start your visit with the old courthouse, where in 1857 the enslaved Dred Scott successfully fought for his and his family’s freedom. All the city’s stars are recognised and celebrated on the St Louis Walk of Fame on Delmar Boulevard, north-west of Forest Park. The city’s musical talents can all be found here, as well as masters of other crafts, like writer TS Elliot, who was born here, father of rock and roll Chuck Berry, Pulitzer Prize-nominated author Maya Angelou, civil rights activist and French Légion d'Honneur recipient Josephine Baker, and many more. 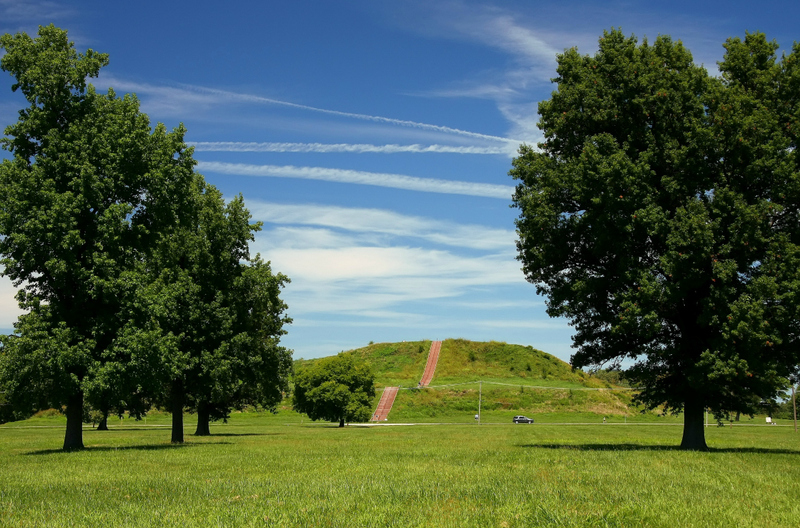 For some fascinating insight into Native American life, head straight to the Cahokia Mounds. They’re all that remains of a vast settlement, which, around 800 years ago, would’ve been bigger than London. Across the 2,200-acre UNESCO site (equivalent to 1,200 Wembley football pitches), you can see more than 100 mounds, and visit the learning centre for an insight into what life would have once been like here. Hertz car hire in St Louis gives you the freedom to explore this vibrant and historic city, as well as the areas around it – all at your own pace.